Anime Pirates features some of your favorite anime pirates. Using a turn-based combat system, you can build your own personal pirate crew, explore the world, meet fellow pirates, and dominate the seas. Bar Hopping: Visit the local bar to recruit a variety of pirates to join your crew. Harbor Attack: Battle other pirates at the port, and take their crew on as slaves. 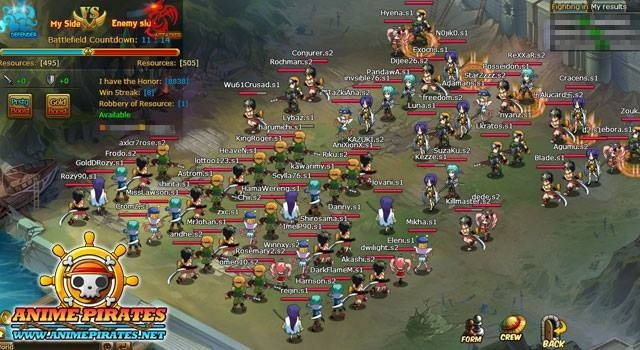 Daily Events: Battle world bosses, venture into arenas and dungeons, and participate in tournaments - there's never a dull moment. 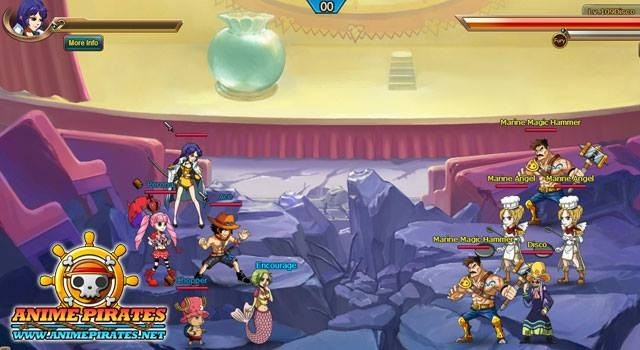 Anime Pirate's latest update adds another new battlefield, a new system, and more. 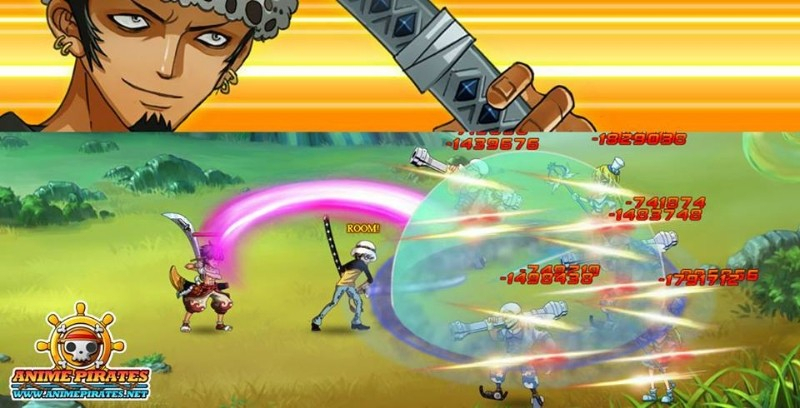 The latest Anime Pirates update features a new battlefield and new crews. 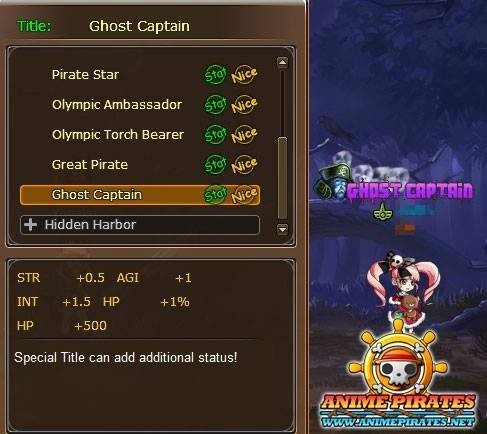 Anime Pirates' latest update adds a new upgrade tier for the main characters, new features, a new battlefield, and more. Read the patch notes here.